Fortunately for me, that stamp collection was placed in overdrive because of my job. For nearly 2 weeks, I’ll be in Asia traveling to 3 different countries: Mongolia, China, and Philippines. My travels to Mongolia was quite the adventure. For starters, my 7:25AM flight wasn’t without action. Boise airport was surprisingly busy for a Thursday morning. I mean, it took about 25 minutes to get through security. A LONG 25 minutes. Well, I’ll tell you that with Boise being a regional airport, I’ve had a short wait time for flights. Security would take about 10 minutes top. One flight, I got there an hour before my flight, and I even had time to (comfortably) grab a bite to eat! Not this trip. Goodness the line was wrapped around the security waiting area. I barely had time to get my coffee! My first stop was San Francisco. The flight was without anything noteworthy. Got my usual coffee and snack. The airplane was empty, so I had no seatmate. Just me and my window seat. I had about a 3 hour layover, so I decided to get some food and enjoy the free WiFi. 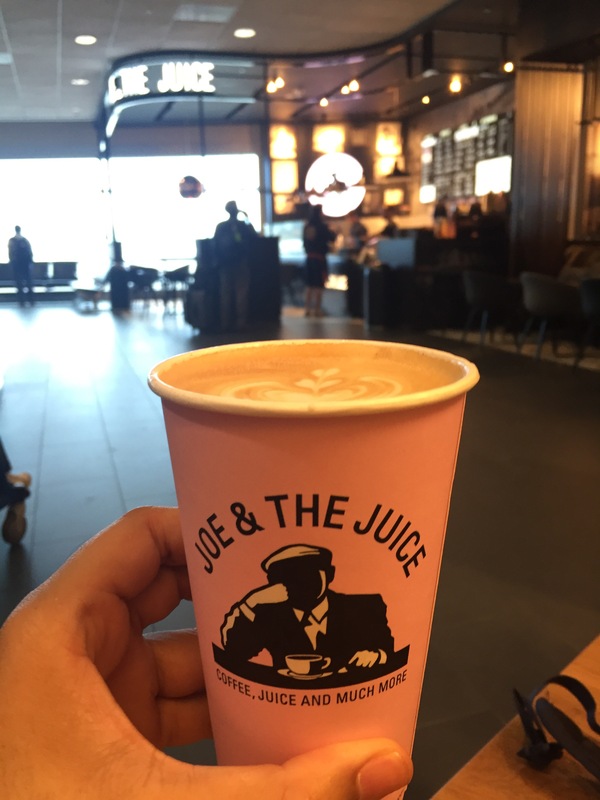 I ended up at Joe and Juice Co — a modern and hip coffee and juice café in the international terminal. 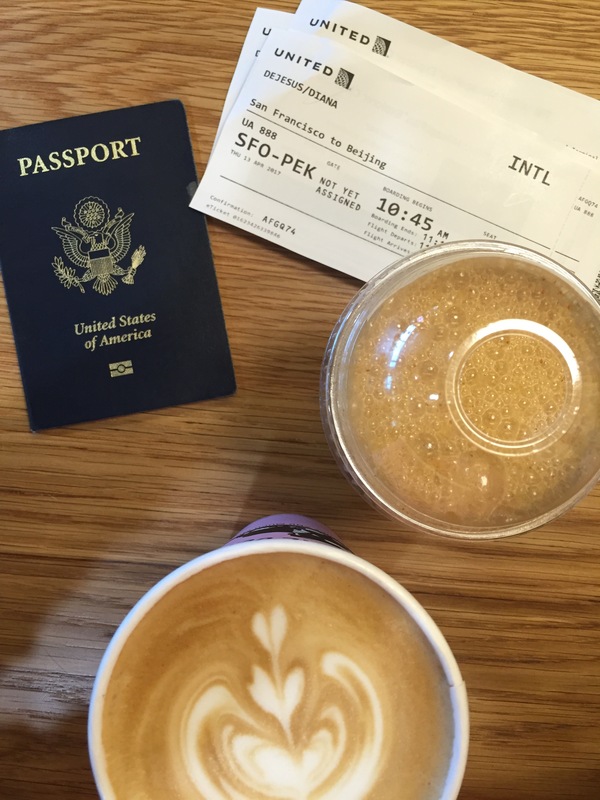 As you see on my @boise_bucketlist feed, you’ll see my essentials were a caffe latte + juice packed with essential vitamins. After ordering from a hip young man with a strategically messy “man bun”, I headed to an empty booth. I charged my phone, checked some work emails, and got some content for @boise_bucketlist and my blog. 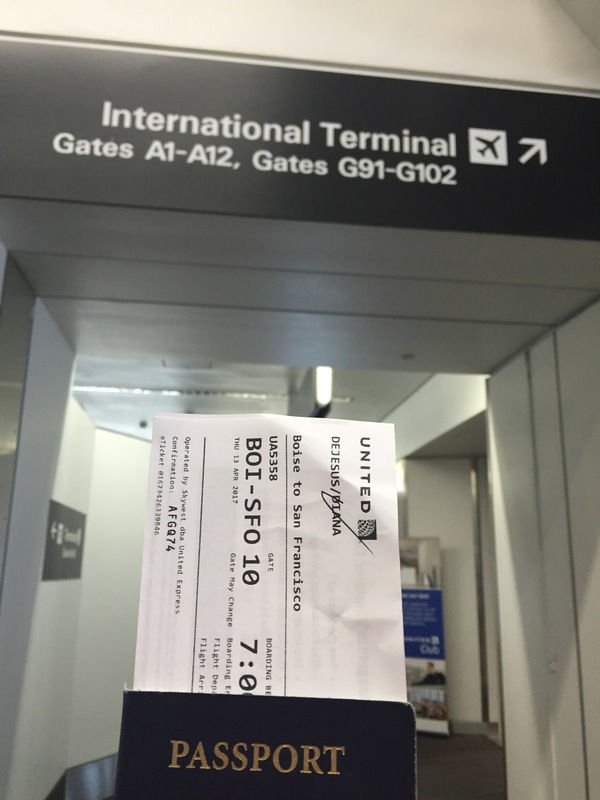 Before I knew it, it was time to head to the terminal and prepare for the boarding experience. I mean, it was like everyone got the same memo to head to USA to drop some major coins! It was time to get ready for the longest flight of my life. The total flight time was… Wait for it… 11 hours! Yes, I said 11 hours. Yes, I’m an observant person and I notice everything. I’m on a 11 hour flight. 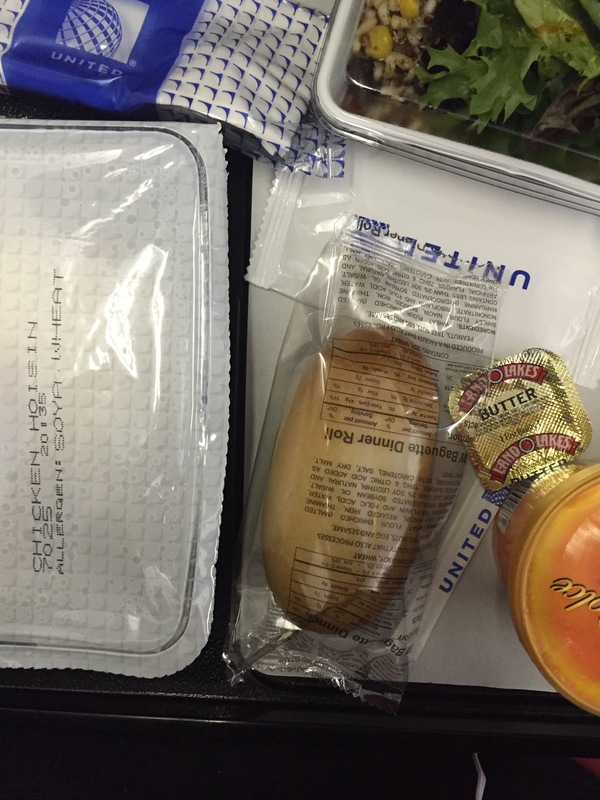 With these type of flights, you get food served throughout the flight. Plus, there’s on-flight entertainment options. I’ll admit: those eggs toward the end of the flight put my stomach in a bit of a frenzy. I don’t know if it was the sauce or how the eggs were cooked. But something didn’t sit well after barely taking a few bites of the eggs. The rest of the flight I took a few sips of water, took deep breaths, and relaxed. I wanted to try to calm my stomach down before it got too crazy! After landing safely, my adventure to continued. My domestic travel ways made me comfortable and assume a few things. One being that connecting flights and obtaining a boarding pass wouldn’t be an ordeal. 72-Hour Visit: if you are in China for 72 hours or LESS, you do NOT need a Chinese Visa. I knew something was off when United (yes, I flew United! despite all recent news lately) printed out all my boarding passes EXCEPT for the one to Mongolia. Anyway, after getting off the plane, I initially followed the crowd thinking all I had to do was find Mongolia Air and obtain my boarding pass before I had to go through Customs. Me to Chinese Airport Staff #1: Excuse me, where do I get my boarding pass? For the life of me, I couldn’t find this alleged “Terminal C.” After failing so many times to get help, I grabbed an airport map from one of those display cases, and tried to find where Terminal C was located. Ok, so I have to take an internal shuttle to Terminal C? How do I get outside [of the terminal]? Maybe it was the jetlag. Maybe it was sheer ignorance. But whatever the case is, my thinking skills FINALLY turned on. I get in what appears to be a relatively short line. I felt better that I made the right decision when I saw this tiny inconspicuous sign with handwritten instructions that this line was for those who have connecting flights to another country. I kid you not, the line did NOT move for over an hour. I was in the same spot for 60 full minutes. Slowly the line started to move. After 2 1/2 hours later, I was in front of the Chinese Customs staff. After a few minutes went by, with no verbal communication or confirmation that what I provided was sufficient, all I hear is the sound of stamps hitting my passport. I proceed to get onto the internal shuttle to Terminal C. I finally get to Terminal C, and I proceed to find where Mongolia Air is located. I head over to the information desk, and I run into Ms. French Girl. I overhear her asking the same question I was going to ask — where is Mongolia Air? Me to Ms. French Girl: do you know where we have to go? Ms. French Girl: uh, yes. Follow me! We need to go to Air China. I didn’t bother to question it. I kept going with her. Hell, it was better figuring this out all by myself. 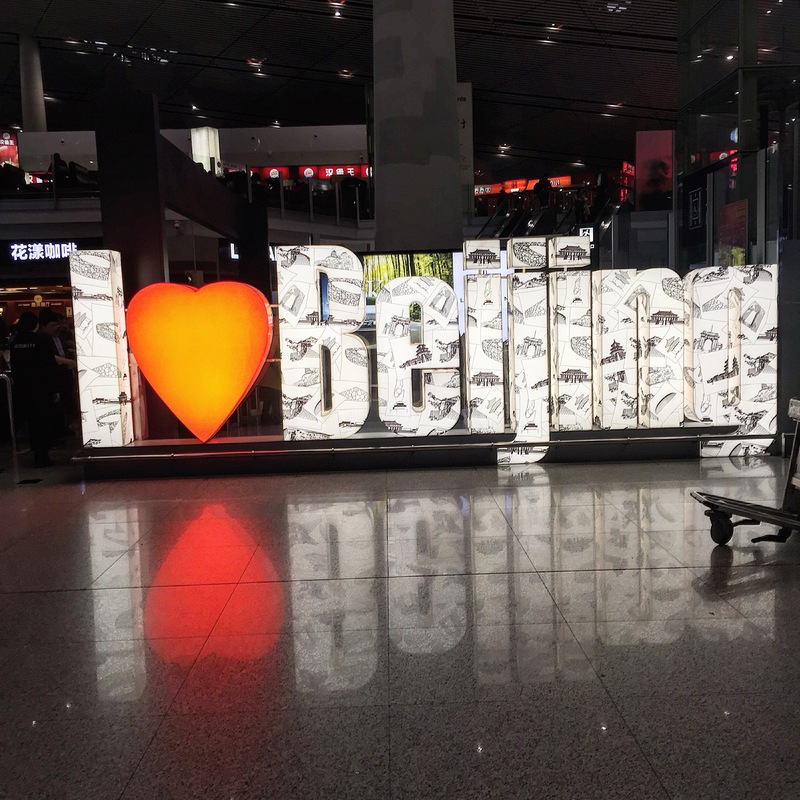 We head to the Air China “Lost and Found” office, and we asked about our luggage. Why were we asking about our luggage? Later during our visit to the Lost and Found, Ms. French Girl thought we had to grab our luggage once again before we had to board the flight to Mongolia. She didn’t realize that our luggage was already marked with “Mongolia” as the final destination. That’s why we were at the Lost and Found. After we resolved that ordeal, Ms. French Girl and I headed to find “International Flights” section of the airport. FYI: PEK is a huge airport. It makes sense though. It’s an international airport with flights coming/going to a wide range of countries. We ultimately found the Mongolia Air counter. But it was OK because Ms. French Girl and I had time to kill before our Mongolia Air departure time. I told her I was traveling for work, and how I never been to Asia before. I was mesmerized by her confidence, her ethereal appeal, and her carefree attitude about traveling. We headed back inside, went through security, and saw a line was formed at the Mongolia Air counter. Yes! I can now get my boarding pass. After grabbing our respective boarding passes, we accompanied each other to the Mongolia Air terminal. Never have I been more happy to see a terminal than that Terminal C! The terminal was empty with a few people sitting down. We both grabbed a seat, plopped our stuff on the ground, and let go a deep exhale. We have been on a feet all day. It felt great to be sitting still. After I fell asleep taking a mini nap, I looked up and saw Ms. French Girl across the way charging her phone. My nap was the perfect length of time because it was boarding time! With the size of the plane, there was only one boarding group. I get to my seat on the plane, put on my sweatshirt, take out my blanket, and I immediately close my eyes. The plane wasn’t packed at all, resulting in me not having a seatmate. After everyone boarded and flight attendants did all the safety protocols, we were off. I passed out the entire length of the flight. That was a deep and recharging sleep. After a 3 hour flight, we were in Mongolia. It was about 12:30AM in the morning when I got off the plane. I had to walk through customs (again) before I could retrieve my luggage. Of course, I choose the line where there’s a complication with the visitor and his passport. A serious looking Mongolian Customs agent with framed glasses starts pointing with aggression, instructing us to more lines open, go there! I go to the shorter lines, and again, I choose the one with a complication. Ugh. It’s OK. I was thankful I landed safely in Mongolia. I (finally) get through customs, and I head to get my luggage. Hmm, why has the conveyer belt stopped? And why can’t I find my luggage?! What felt like an anxiety attack, I calmed down and looked around. Let my observation skills kick in. I noticed everyone was going into this door near the luggage. There was no sign, no one helping passengers with missing luggage (like me). Ms. French Girl: did you find your luggage? Ms. French Girl: maybe you need to go in there, yeah? I entered the walkway and saw my luggage in this dingy room. There were Mongolian airport agents everywhere. I tried to grab my luggage, and I hear wait, no cannot do that. I looked up, and I noticed that he was motioning me to bring my luggage to a bench and have it checked out. I grab my luggage, lift it up (not one person offered to help me lift up my heavy luggage for inspection), and waited to be told what was next. Mongolian Airport Agent: [rummaging through all my clothes and toiletries]. OK, good. I quickly zipped up my luggage, yanked it off the bench and proceeded to walk out the door. I walked into Ms. French Girl; she came back to say goodbye. To Ms. French Girl: Thank you for accompanying me those latter part of my travels to Mongolia. I wish you safe and fun travels to wherever your travels take you. After grabbing a cab, I headed to the hotel for what was going to be a deep night of sleep. 20 minute ride and I was pulling up to the Ramada. I had to run into the hotel to get money exchanged (sorry, no credit cards accepted!). Fortunately, a group of international businessmen from Germany (or a German speaking country) kindly let me go exchange my money ahead of them. Maybe my look of exhaustion had them pity me. I gave the cab driver 35,000 Mongolian dollars (sounds like a lot, but it’s like $15 USD). I then checked in, headed up to my room, turned on the lights, and did another exhale. After a nice long hot shower, I put on my PJs, crawled into the soft and comfy king size bed. I then turned off the lights, switched on the TV to the E! (first channel I came across I recognized), and closed my eyes. Stay tuned for Part II where I talk about my Mongolian visit! Good news: I created a list of things to do this Easter. That said, I STILL created this list of things I would do if I was in Boise this Sunday.. Or, at least things I would LOVE to do. What I LOVE about Easter (aside for a reason for me to wear bright pastels without judgment lol), is all the different ways to spend time with family. From brunching to feasts, to egg hunts, to church services — Easter is a time of family, friends, and celebrating a new season. Angell’s Bar and Grill- Renato: looking for a buffet opportunity for both daytime and evening? Look no further. Guests will have access to a traditional Easter spread, as well as an omelet station and meat-carving station. The Riverside Hotel: it’s great to see that the Riverside Hotel is hosting an Easter event. I went to Riverside Hotel for Thanksgiving, and it was SO GOOD! Mmmm. 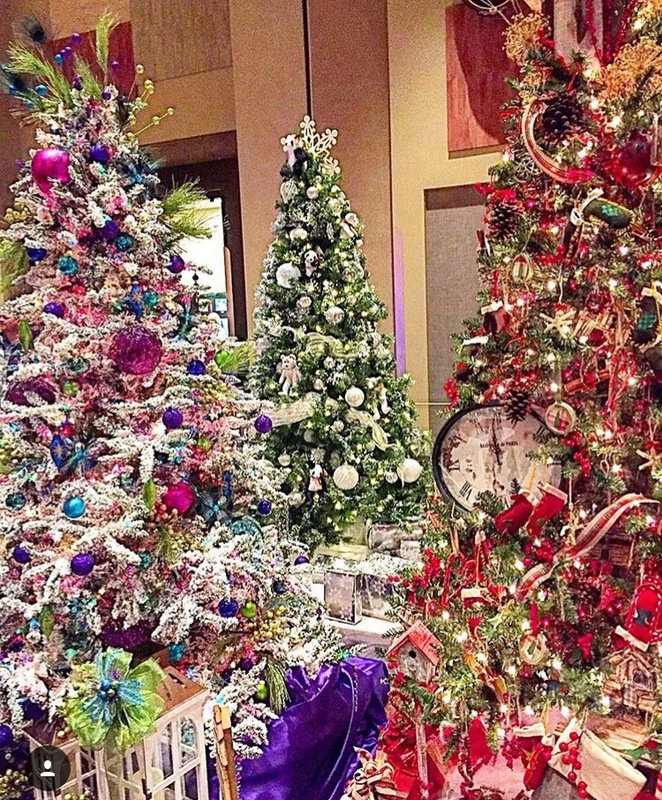 From 9am-1:30pm, guests will have access to a diverse buffet spread: ham, rib, salmon, egg Benedict. I’m getting hungry as I read this! Cottonwood Grille: I’ve only been to Cottonwood Grille once for lunch when I JUST moved to Boise. I am anxiously waiting to return. Luckily for you, you can enjoy their brunch menu this Sunday. The Sunday Brunch menu can appeal to just about anyone: egg lovers, seafood lovers, vegetarians, the brunching daredevil. Whatever your taste palette, the options are bountiful and can cater to your Easter brunching needs. Bunny Ball – An Easter Prefunk @ Fatty’s: I probably would have decided to go out on Friday, but why not for a Bunny Ball! I see this as an “adult” Easter egg hunt, especially with Wild 101 in the house, giving out plastic eggs filled 1) candy, 2) drink tickets, or even 3) CASH. I think it’s a perfect time to wear the brightest pastel colors, grab your girls (or bros), and get your funk on with the Easter Bunny. Get Your Bunny On @ Reef Boise: Why not listen to some rock on a Saturday night? I would. Pilot Error, a classic rock cover band, will grace the stage for all of Boiseans to experience. Rock out this Easter at Reef Boise! For those seeking to attend church, Boise has its fair share of Easter Services. I strongly encourage you to use Facebook to find which ones you’d prefer to attend. I never attended a early Easter morning service, and maybe I’ll save that experience for next year. I wish you all a Happy Easter! And don’t forget to follow me at @boise_bucketlist to see what new adventures I’ll be experiencing overseas. It’ll be like you’re right there with me! 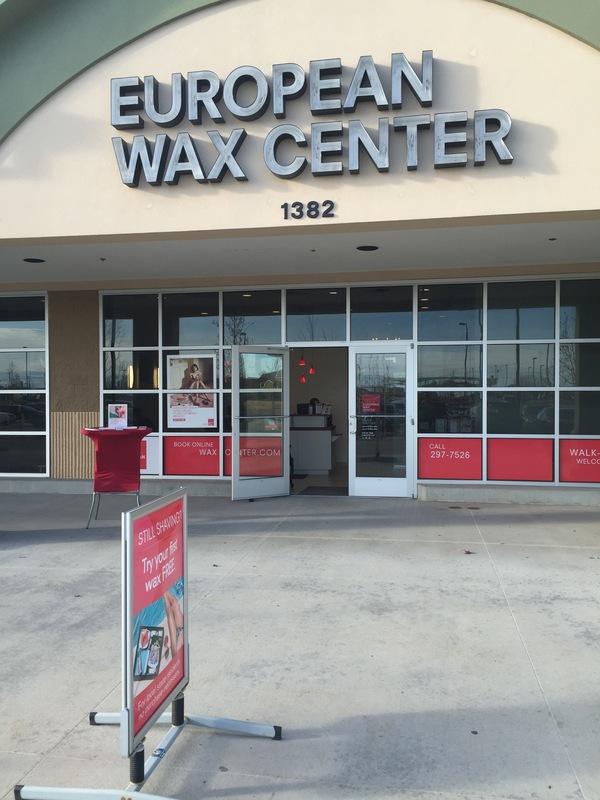 Last week, I visited the ladies at the European Wax Center (EWC) in Meridian. After getting lost (note: based on the address, my GPS led me to this vacant lot; the EWC is located in the WinCo shopping center next to Baskin Robbins) and receiving a kind reminder phone call from Alison confirming my visit, I arrived to EWC and excited about getting my eyebrows shaped. Here’s more info than you may want to know (oh well, that’s what happens with a lifestyle blog). I have a love/hate relationship with my eyebrows. 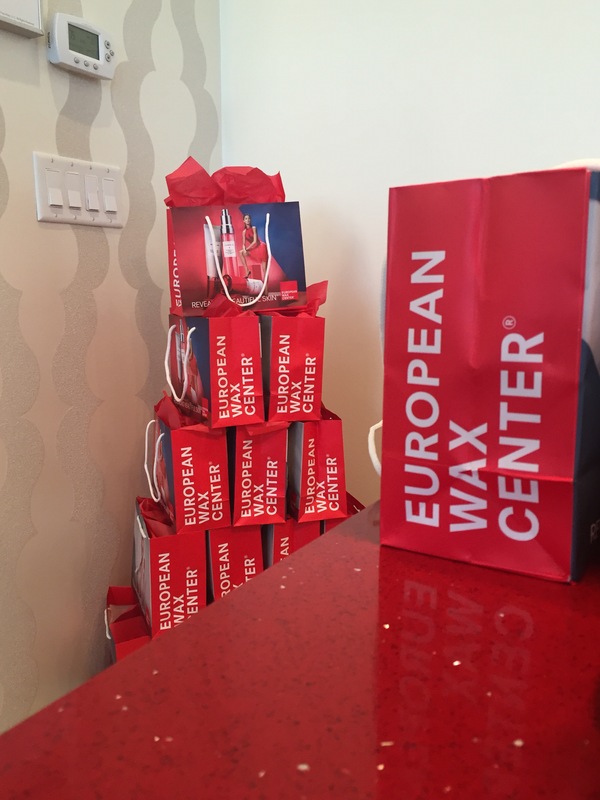 You can imagine how excited I was when I was invited to a European Wax Center! It’s spring and the last thing I need are unshaped bushy eyebrows. Once I arrived and checked in with Allison, I was greeted by Kari — a young woman with a beautiful smile. I wondered “hmm, I wonder if her smile will go away once she is tasked shaping my eyebrows!”. I followed Kari and entered the first private room to the left. It’s like your own private waxing paradise: personal chair to lay on, relaxed music, refreshing smell. After Kari instructed me to lay down, I started to get nervous about the wax. Weird, right? Especially for someone who has a high threshold for pain. FYI: I usually get my eyebrows threaded, which for some, is excruciating pain. What we do for beauty! What’s unique about EWC is the wax formula. 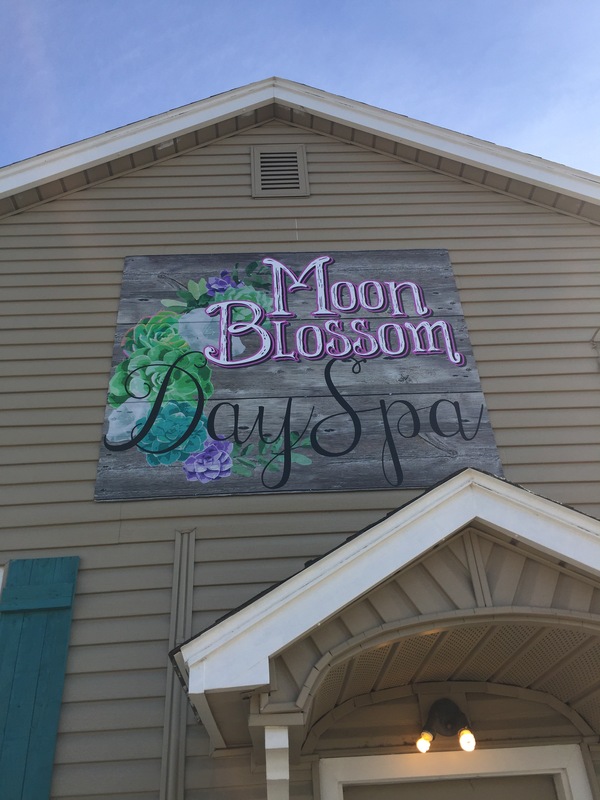 Unlike most waxing centers, where they use white cotton strips to tear the wax from your skin, the wax itself is stripped without the use of cotton strips. 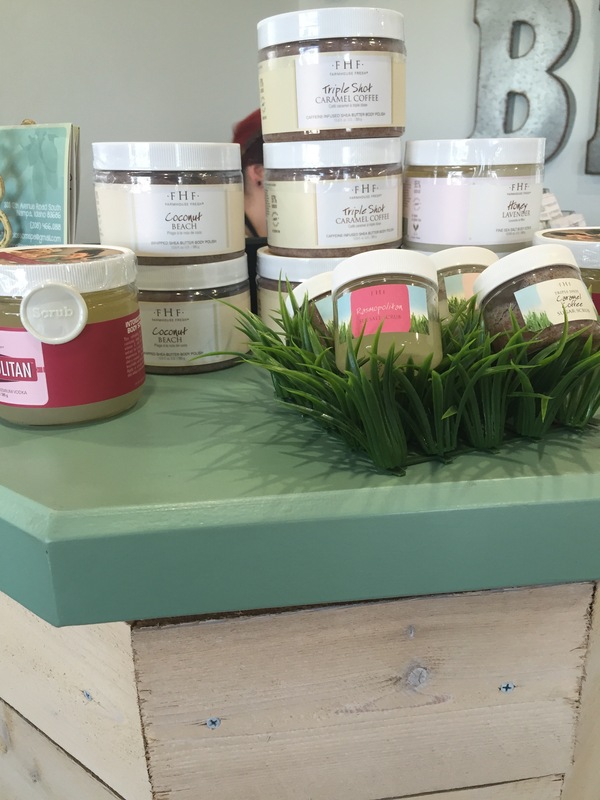 The wax is very gentle and delicate to the skin — soothing, really. Kari was very personable and I truly enjoyed her company. Her ability to strike up conversation was especially helpful when she was preparing to wax another part of my face. For the sake of being truthful and at the risk of being embarrassed (well, not too embarrassed), Kari also waxed the upper lip. Yes, I said it. Don’t act like women don’t succumb to the uni-brow and upper lip hair syndrome. Again, I have a high threshold for pain but nothing burns more than hot wax being ripped from your skin. Kari definitely was right when she said how gentle their wax is. It didn’t burn whatsoever. Maybe a slight sting, but it’s definitely better than my eyes automatically watering because of waxing pain! Again, what we do for beauty. After the wax, Kari shaped my eyebrows using a pencil and powder to fill in the gaps. She even taught me how to do it! (OK, another thing about me is that I’m not the best with all that makeup masterful skills: contouring, highlighting, concealing, etc. It’s called put on some mineral powder and GO!). Kari also put some refreshing cream on my face, giving it that additional glow. Unlimited Wax Pass: ideal if you get a type of service multiple times throughout the year. It pays for itself! I scheduled my next appointment in mid-April. Why that far out? Because the wax treatments lasts up to 4 weeks! I ALMOST mustered the guts to book for a service named after a country where beautiful models were born (Gisele Bundchen, anyone?). Nope, not yet. Nooooottt YET! Checkout EWC, both in Meridian and Boise. If anything, a free complimentary wax is a WIN-WIN! Think your business is a good fit with Boise Bucket List? 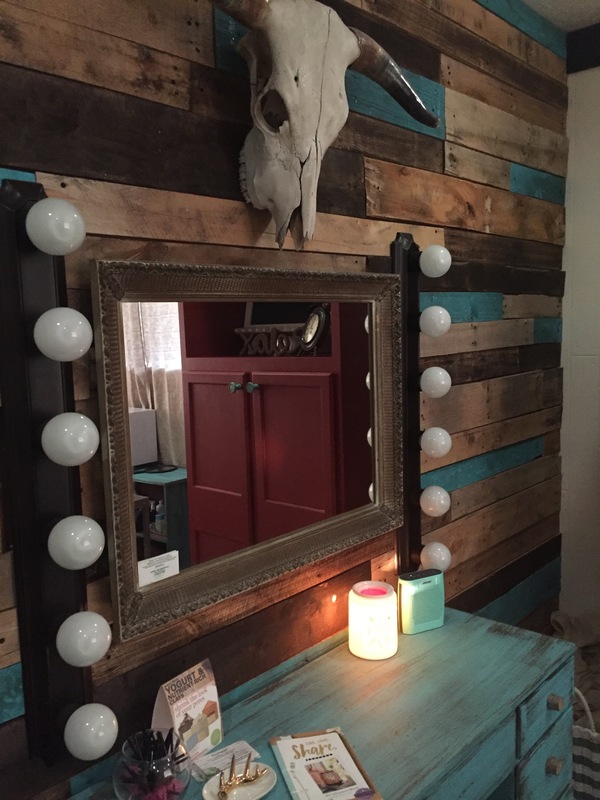 Would you like to be featured on our page? Maybe host your own giveaway to boost engagement? Email me at theboisebucketlist@gmail.com. 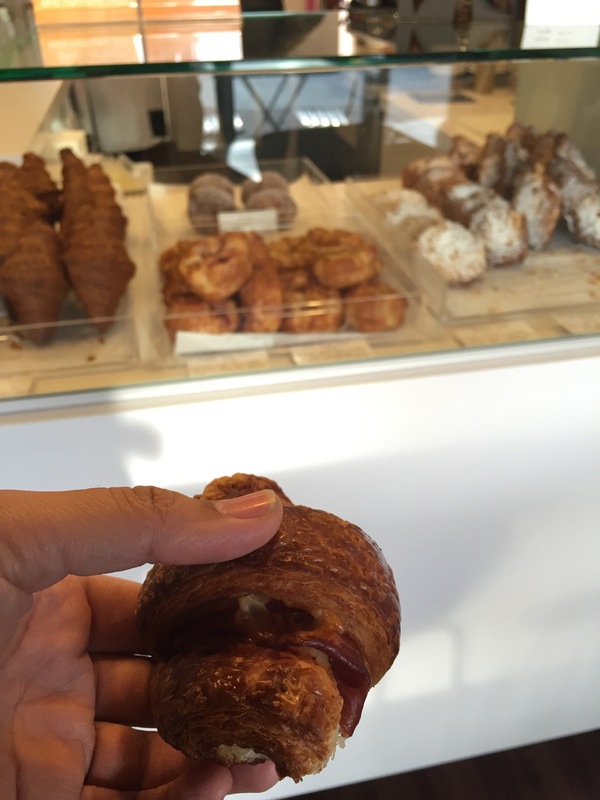 Looking for a French bakery filled with perfectly crafted delectable pastries and desserts? No need to go to France. You have it right here in the BOI. With no coffee in my hand while driving to work, I knew I wanted to grab some coffee before I head into work. Rather than driving to my usual spots, I decided to give a local bakery a try. I remembered when one of my @boise_bucketlist followers tagged me in a photo of her while eating at Janjou, and I knew I needed to (FINALLY!) visit this hidden gem. Nested in a small shopping center on the corner of 17th Street and State Street, Janjou Patisserie is a small French bakery with a modern decor. Named after the owner’s grandmother, Janjou gives the Treasure Valley beautifully crafted French desserts and pastries. Maybe I missed the memo of the Friday-trip-to-Janjou’s because when I walked in, the line was out the door. It was so busy the chef herself had to staff the register! Waiting in line was actually enjoyable because I was greeted by this large glass display filled with these delectable desserts crafted with immaculate detail and to perfection. 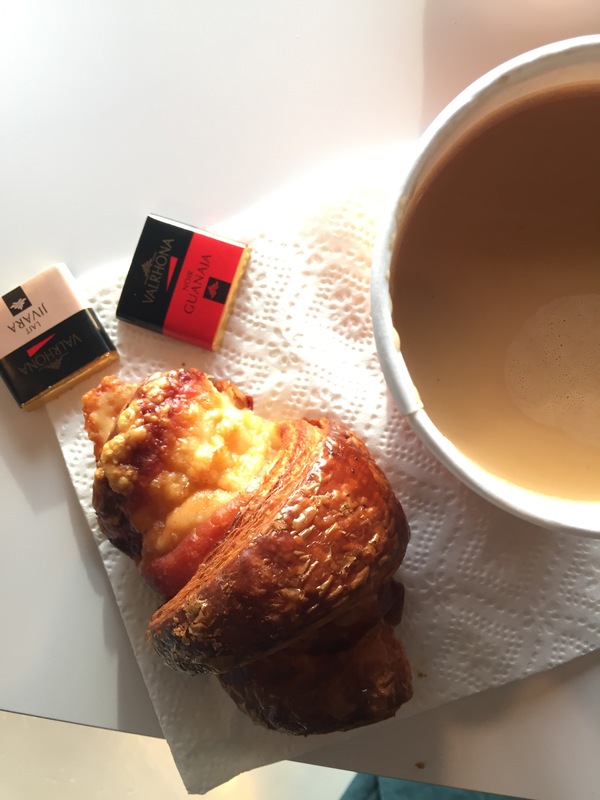 From the eclair covered with glazed chocolate, to the Framboise Tart, covered with fresh raspberry, to my ham & Gruyere croissant. I was imaging taking a bite of the chocolate eclair, and how it elevated my mind as a foodie Ecstasy. Yes, delicious food can bring me to that level. As I said, I ordered the Ham & Gruyere croissant with a 12oz of the Americana to go. The Americana was exactly what I needed to kickoff my Friday morning. I waited until I arrived to work to enjoy my croissant. With the croissant slightly warmed up and a side of Americana, I had the best Friday morning ever! Although it can be a bit pricey (croissant was $5.50), I know it’s locally owned, locally supplied, and crafted with detail and to perfection. If you happen to be driving along State Street and want to cross French bakery off your #boisebucketlist, head over to Janjou’s. I WILL return to try the chocolate eclair. Yes, I love eclairs. If you couldn’t tell! Cheers to my OFFICIAL first blogger event. Kinda cool to be invited to experience a local event because I’m considered a blogger. Hey, it’s the small joys in life I live for. 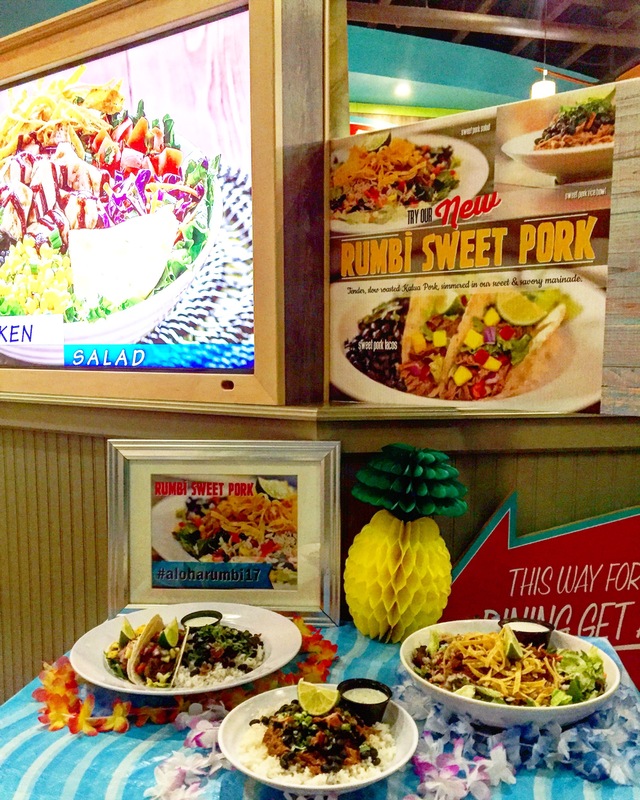 Last week I was invited to a special blogger event at Rumbi Island Grill in Boise. 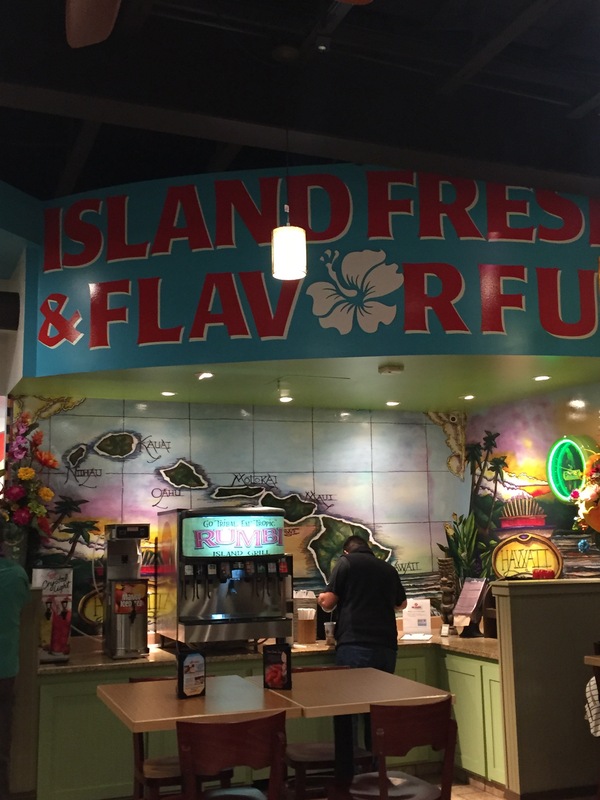 I’ve never heard of Rumbi Island Grill, but it reminds me of a tropical-themed restaurant I frequented in Florida (Pollo Tropical for all my east coast readers). After somewhat getting lost looking for Rumbi (it’s uniquely situated on Fairview Blvd, where you have to turn into a strip mall, it was easy to find once I got into the complex. Through the large windows facing the parking lot, I can see Rumbi Island Grill takes its island theme to a new level. I also saw leis, bright colors, and lots of children running around. I walked in and greeted with smiles. Karly (the marketing coordinator who invited me) gave me a white lei after I told her I was the blogger behind Boise Bucket List. She walked me over to the display table which showed all the yummy meals I’ll be tasting. I can’t eat all of this! I thought. At least they have to-go boxes. After putting my coat down on a chair, I do what any blogger does: people-watch and take in my surroundings. I believe most of the bloggers present were “mommy-bloggers” or family-centric bloggers. The tables were properly equipped with child-friendly activities (crayons, coloring — you know, the standard) and covered with the tablecloths you can easy color on. I also noticed the bright decor around Rumbi; it definitely gave me that tropical vibe & made me forget I was in dreary Boise, ID. After snapping some photos, an outgoing woman stopped by to say hello. Heidi, who happens to follow my IG page and the woman behind my invite, introduced herself and personally welcomed me to this event. She told me food will be coming out soon, and for me to enjoy! After the Little Kahunas were fed (which, by the way Rumbi has a good selection for kids meals), the Big Kahunas were served. O-M-G: that looks tooooo good! (when the Sweet Pork Salad was being served). Once I got my food, I immediately snapped a photo to capture its presentation. Soon thereafter I grabbed my fork and dove right in! Let me just say, I’m not particularly in the mood for chilled salad if it’s cold outside. But this salad? OMG it was amazing. The jalapeno dressing (something I’ve never had before) gave it that extra kick and bold flavor. The sweet pork (sorry vegans!) 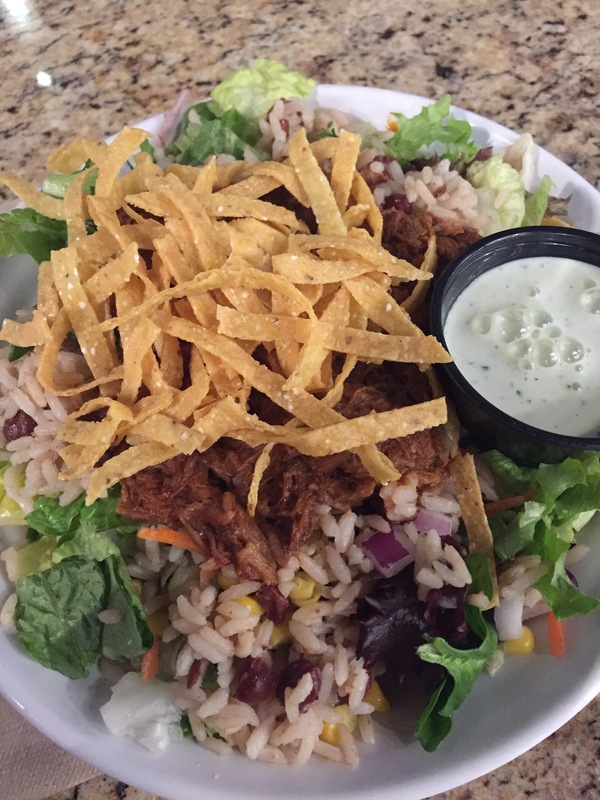 mixed with layers of crispy greens, rice cooked in coconut milk, black beans & corn all topped with shredded tortilla shavings trumped similar salads I’ve had in the past. After slowly chipping away at my salad (slowly because I wanted to enjoy EVERY bite), the staff brought out the Sweet Pork Tacos. Now, I sure love food but damn — I can’t be stuffing my eyes before my belly. I’m on this health conscious focus now. So, I did the 2nd best thing which was immediately put it in a to-go box. Fun Fact: the to-go box is made from 100% biodegradable materials. The olive green colored bottom of the box caught my eye, prompting me to ask Karly if the box was made from some special material. After letting my food digest, I decided to head home. Prior to leaving, Karly gave me the cutest party favor bag: filled with temporary stickers, erasers, brownies, and 2 additional coupons. Talk about WINNING! 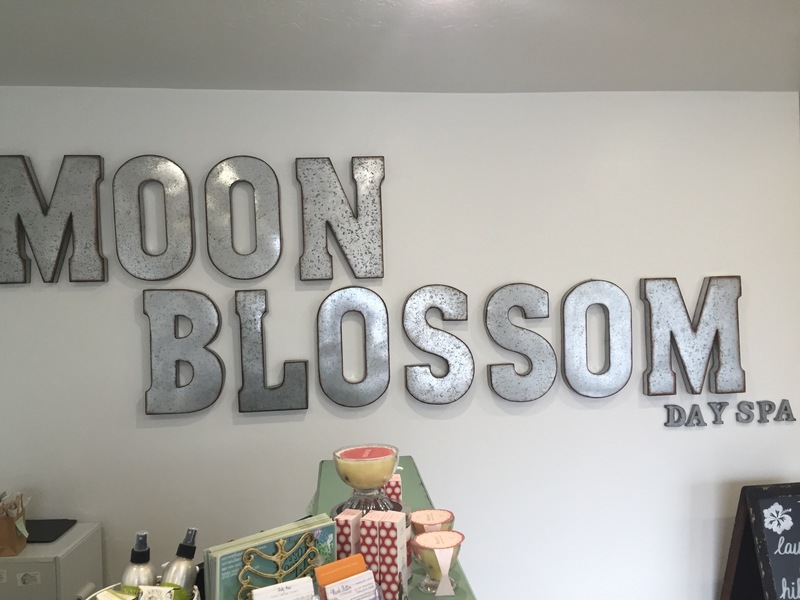 Definitely add this place to your foodie #boisebucketlist.